At OBP, we believe that knowledge should be available to everyone: our books are free to read and download online, and we are working to create a world in which all research is freely available to all readers. Open Access also enables better research, without the need to conform to the restrictions of print-only formats. We believe Open Access publications can embrace the possibilities of digital publishing – such as the inclusion of audiovisual material and greater responsiveness to readers – without abandoning the printed form. All our books are available in high-quality paperback and hardback editions, as well as online and ebook formats, and sales of our (affordably priced) print and digital editions provide an important revenue stream that allows us to make all our online editions (HTML, PDF and XML) freely available. At OBP we welcome proposals that engage with knowledge in new ways, and we are willing to help individuals and institutions develop innovative methods of disseminating research to better inform and interact with readers and researchers. Our award-winning Denis Diderot’s ‘Rameau’s Nephew’: A Multi-Media Bilingual Edition incorporates specially-recorded musical pieces into the body of the text, offering a sensory and scholarly evocation of Diderot’s work for a general audience. Our World Oral Literature Series centres on marginalised and endangered oral traditions across Africa, Asia, and the Americas and integrates recordings into the scholarly text, maintaining this cultural heritage for academic researchers but also for the people who are represented by and in it. Tony Cross’s extensive bibliography In The Land of the Romanovs has been uploaded to Wikiversity, so that it can be continually updated thanks to the power of social editing, while our Classics textbooks are available in interactive editions with teachers’ annotations, to encourage student engagement. More examples of our innovative titles can be found in this blog post. We strive to make our books as accessible and reusable as possible. We have partnered with Worldreader to give readers in the developing world easy access to our books: hundreds of thousands of people can now access our titles in formats that are technologically suitable for their mobile phones. We have worked hard on technical accessibility: back in 2012 we developed an HTML-based online Reader to live alongside our online PDF Reader so that our books can be read in both formats, since accessing, copying, and modifying text in HTML is easier than relying on PDF files, regardless of the recent dramatic improvements in PDF accessibility. All our PDFs are freely available to download, and all of our books can be shared by being embedded in other websites (details about how to do this are on each book's webpage). More recently, we have developed an open source toolset to convert our content to XML, which represents a new step in this same direction. As more and more funders and administrative bodies mandate Open Access publishing, and as authors find out about the possibilities of Open Access, the discussions about how to make OA happen in an equitable and sustainable way are intensifying. The debate as it stands today revolves around the proposition that Open Access is desirable provided that someone (other than the reader) pays the existing costs — clearly this is not a sustainable model, and the implicit suggestion that the underlying economic and logistical structures cannot be challenged or changed is misleading. At OBP we have proven that high-quality Open Access publishing can be done in a cost-effective manner and can sustain itself from a mixed range of modest income streams, including sales (for more information on our business model please read our blog post). Our Library Membership Scheme in particular has operated as a ‘proof of concept’ to show how library budgets can support sustainable Open Access publishing rather than being drained by the expensive subscriptions charged by for-profit publishers. As well as providing an example of sustainable, high-quality OA publishing, at OBP we are taking the lead in developing new open source infrastructure so that other OA presses can take up the reins. We are a founder member of the ScholarLed consortium, a group of six academic-led, not-for-profit OA book publishers who are sourcing funding to resolve some of the most pressing barriers preventing small publishers from interfacing with large-scale organisations and processes. (You can read and comment on the detailed proposals here.) We are also a member of the EU-led HIRMEOS project, working to create open source software and databases to collect and host usage data from alternative platforms for multiple publishers. You can access all of our open source developments at our GitHub account. As part of this leadership role, we offer training placements in all aspects of Open Access publishing, free of charge. In the past we have provided placements as part of university courses, such as the MSt in Creative Writing at the University of Oxford, and to other Open Access publishers, such as UGA Editions and Firenze University Press. Placements can cover editorial skills, marketing, or technical aspects such as the creation of XML editions. For more information or to discuss a possible placement, please contact Alessandra Tosi. Our experience and expertise in Open Access formats enable us to help publishers, universities, academic groups and journals move to an OA model. We are always happy to share our knowledge with anyone wanting to start an OA press, or transition to OA: just get in touch. Members of the OBP team regularly contribute at conferences, or in articles or blogs – visit our Media Room or our own OBP Blog to find out more and discover details of past articles and events. If you'd like us to participate in an event, or contribute an article or blog post, please contact Alessandra Tosi. 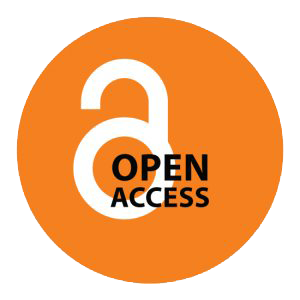 OBP is a member of the UUK Open Access Monographs working group, which is monitoring and evaluating progress towards open access publishing for academic books in the UK. We are also a signatory of the Budapest Open Access Initiative (on this initiative and its aftermaths see Jean-Claude Guédon's Open Access: Toward the Internet of the Mind); we endorse the Treaty on Copyright Exceptions and Limitations for Educational and Research Activities (TERA) and the OpenGLAM Principles; and we are a participant in the OpenEdition project. All our books are printed on paper which is SFI (Sustainable Forestry Initiative) certified. Our printers sustainability practices are available here.